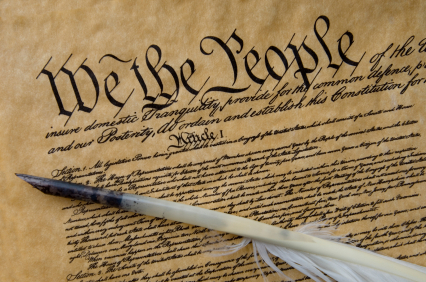 The first amendment, along with the rest of the Bill of Rights was Passed by Congress September 25, 1789. Ratified December 15, 1791. I sincerely hope my readers will allow me a brief break from my usual topics. I don’t write a lot about political or religious issues. Mama always said a lady should always avoid the topics of politics and religion in social situations. Facebook, Twitter and the world of blogs are about as social as it gets. However, our biggest holiday is Independence Day, so I’m making an exception and throwing caution to the wind. The right to practice our beliefs without interference from the government was so important that at inception it was number one of the Bill of Rights. Not in the middle, not last or in a different Amendment, but at the very beginning of the First Amendment. Writers of our Constitution could’ve chosen to make taxes the first issue (remember the Boston Tea Party), but no, they chose to prevent the establishment of a national religion. Why? What led up to this Amendment? I don’t have a crystal ball but we do have a bit of history. 1771: The State of Virginia jails 50 Baptist worshipers for preaching the Gospel contrary to the Anglican Book of Common Prayer. 1774: Eighteen Baptists are jailed in Massachusetts for refusing to pay taxes that support the Congregational church. So in 1777: Thomas Jefferson completed his first draft of a Virginia state bill for religious freedom, which states: “No man shall be compelled to frequent or support any religious worship, place, or ministry whatsoever.” The bill later becomes the famous Virginia Ordinance for Religious Freedom. Seems to me even back then some people wanted everyone to believe the same thing in the same way. I’m glad some wise leaders thought of a way to prevent that from happening. Everyone likes to think an elected official will share your core beliefs. But it is not necessary that they do so to protect yours. The Constitution prohibits our government from establishing a national religion of any type. And those elected to serve the people cannot prohibit anyone from their religion of choice. What makes our country so exceptional, flaws and all, is the United States allows people to think and believe how they please. Although, states have established birds, seals, flags, flowers, songs and who knows what to represent said state they cannot establish a state religion. So as we are waving our flag, watching fireworks and celebrating with family and friends, let’s remember the tolerance that makes this country great. I encourage you to open your hearts and minds to your neighbors. Let us remain the United States. Okay, I’m done and ready to sit back and watch the fireworks with a burger and beer. Happy Fourth everybody!! Previous Do you need another solution? Next UPDATE-Want to see your e-book at the library?